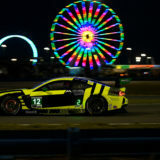 Tuesday, March 21, 2017 – Highlands, NJ – After 12 hours of racing on the grueling circuit that is Sebring International Raceway, the Alex Job Racing team finished P15 in class on Saturday’s 65th Running of the Mobil 1 12 Hours of Sebring. 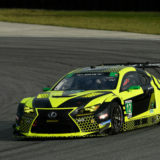 Although Frankie Montecalvo and teammates Townsend Bell and Bill Sweedler showed well in the four practice sessions leading up to the race, the No. 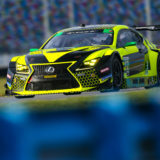 23 struggled to stay on the pace during the highly taxing 12 Hours of Sebring. “Our race did not go as planned. 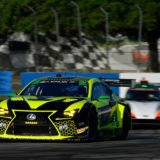 There were highs and lows throughout the day, but going into the morning warm up on Saturday we knew the car wasn’t ideal just from the lap times we were putting down,” explained Montecalvo. 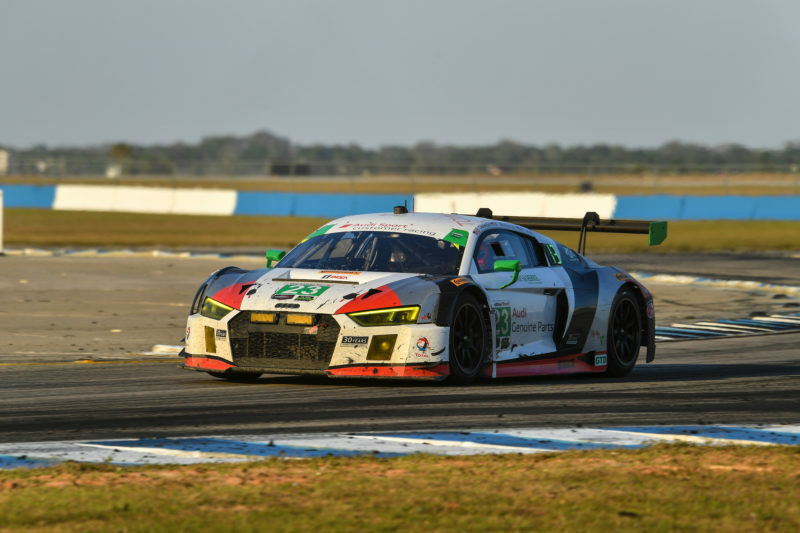 Montecalvo, Bell and Sweedler fought their way into the top ten during the afternoon, but the harsh bumps and hot temperatures took their toll on the car and they eventually slid back to P15. 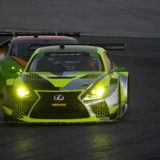 Montecalvo, along with teammates Bell and Sweedler, will return to the track for the third round of the Tequila Patron North American Endurance Cup at Watkins Glen in July.